gibt. Bekannt sind momentan insgesamt 20 Varianten. (Info A. Bergmann, vielen Dank). Teil 1 hat einen Soldatenkopf auf dem Titelbild, siehe linkes Foto. eindeutig und damit irreführend ist . 1. Version: " Deutscher Spähtrupp "
2. 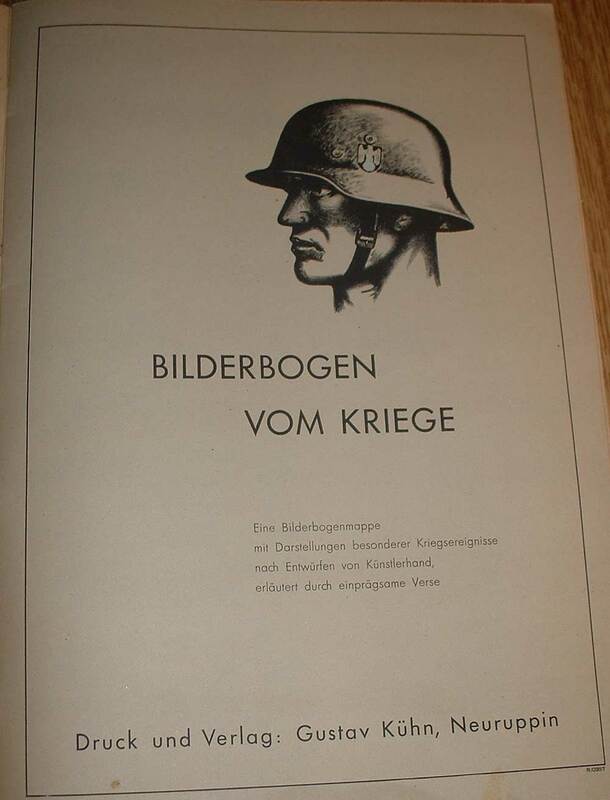 Version: "Leichte Flak gegen schwere Panzer"
3. Version: " Igelstellung in der Winterschlacht"
4. 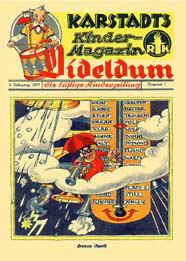 Version "Hitlerjugend bei Luftangriffen "
appeared in the 1940 to 1944 Verlag Gustav Kuhn, Neuruppin. known. Presumably, however, even 15 versions. 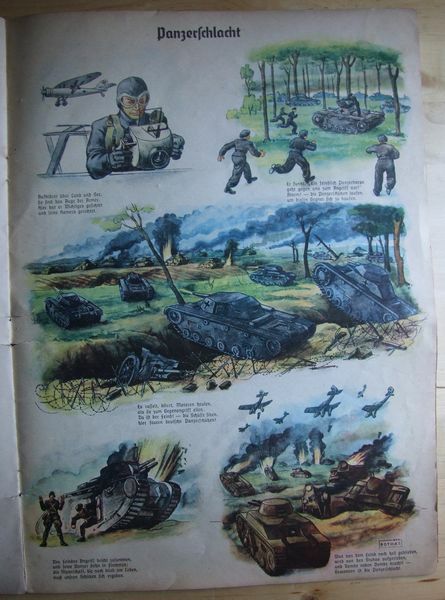 Part 1 has a soldier's head on the cover, see the left photo. Picture story, but ultimately not clear and are therefore misleading. 2. 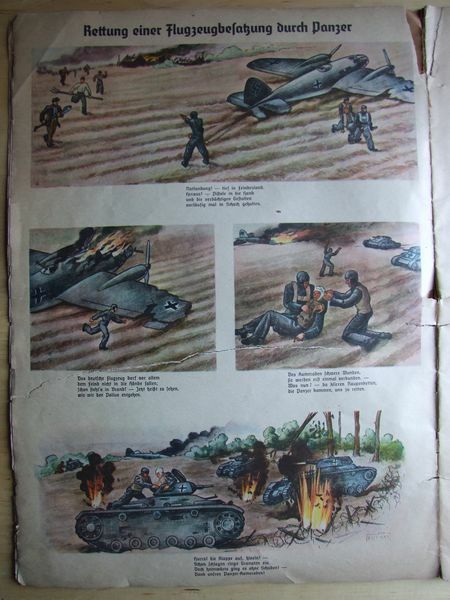 Version: "Light Flak against heavy armor"
3. Version: "hedgehog in the Battle"
4. Version of "Hitler Youth in air raids"
6. 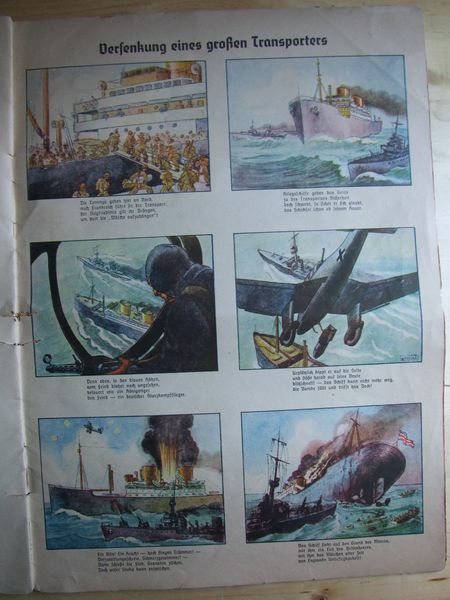 Version: "The sinking of the aircraft carrier Ark Royal"
The 2nd Part has a group of soldiers on the cover. Einige Versionen hatten auch ein Vorwort, siehe Foto unten. 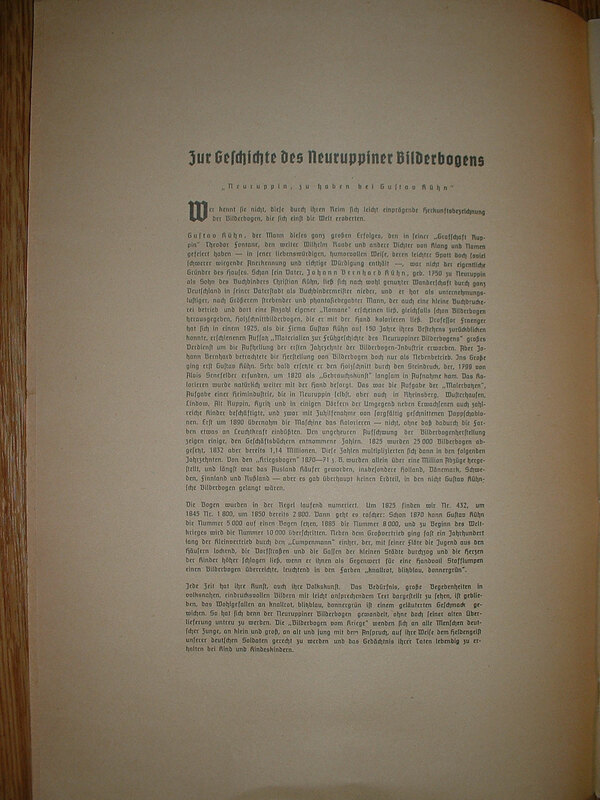 "Neuruppin, zu haben bei Gustav Kühn"
Some versions also had a preface, see photo below. 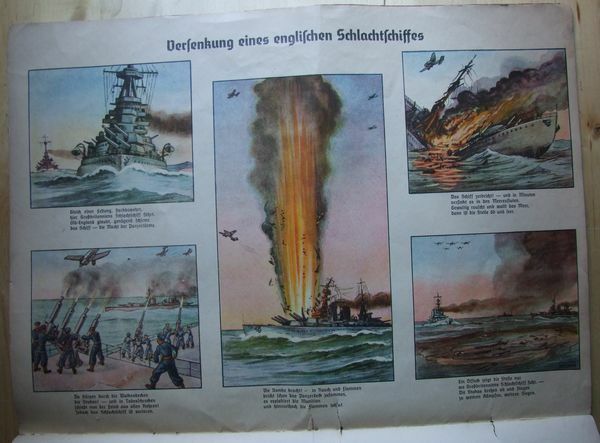 "Neuruppin to have at Gustav Kühn"
"sinking of a large Transporters "
(bisher unbekannt), in einem Antiquariat. - Der Russlandfeldzug wird nicht erwähnt und die USA auch nicht. - Der Flugzeugträger Glorios wurde am 10. 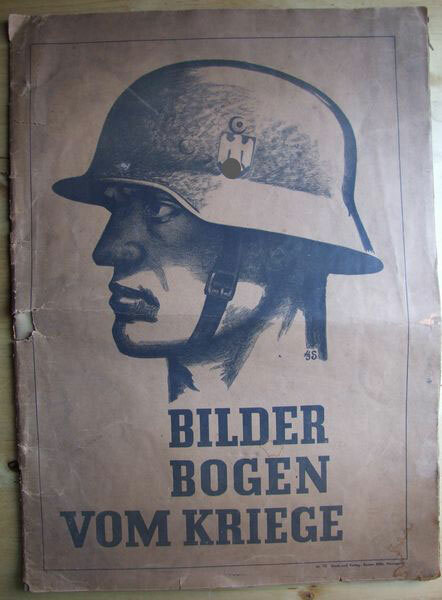 Mai 1940 versenkt. - Die Schlacht bei Dünkirchen war am 5. Juni 1940. - Und in Compiegne wurde am 22. Juni 1940 der Friedensvertrag unterzeichnet, somit werden Kämpfe wohl vor diesem Datum stattgefunden haben. Die oben abgebildeten Seiten ist nicht der komplette Umfang des Heftes, es sind einige mehr Ereignisse bzw. Strips in dieser vermutlich allerersten Version . Bei diesem Heft ist das Papier sehr empfindlich, wie bei Pergament Papier und es „bröckelt“ wirklich schon. Ich blättere so etwas von vorsichtig und trotzdem verliert es jedes Mal wieder Papier Krümmel. Interessant ist, dass die Seiten nur einseitig bedruckt sind, während mein neustes Heft (Version 6) doppelseitig bedruckt ist. (Yet unknown), in an antique shop. - The Russian campaign is not mentioned and not USA. 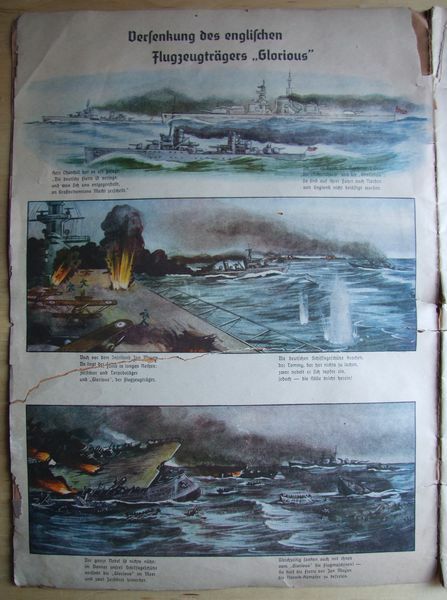 - The aircraft carrier was on 10 Glorios May 1940 sunk. 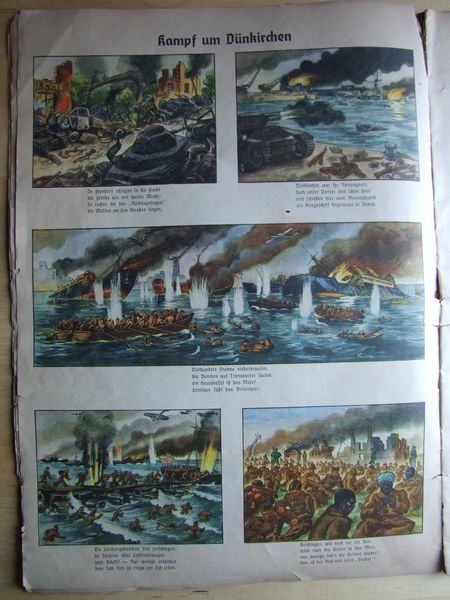 - The Battle of Dunkirk was 5 June 1940.
probably the very first version. In this issue the paper is very sensitive, as with parchment paper and it is "crumbling" really have. I flip something of caution and still lose it every time paper crumbs. It is interesting that the pages are printed only on one side, while my latest book (version 6) is printed on both sides. Hobbyfreund Andre Bergmann fand Ende September 2010 noch eine weitere bislang unbekannte Version. Das neue Heft (Version 6 ) ist doppelseitig bedruckt . Ebenso ist das Papier bei weitem nicht so empfindlich, man kann es ganz normal Blättern und auch lesen. Es enthält 22 Geschichten, die letzte ist die „Die Versenkung des Flugzeugträgers Ark Royal“, diese ist im Preiskatalog 2010 auch noch nicht aufgeführt. Außerdem hat es ein Vorwort und die Nr. 10 ist nicht auf dem Cover. Hobbyfriend Andre Bergmann end of September 2010 was yet another previously unknown version. The new specification (version 6) is printed on both sides. Similarly, the paper is not nearly so sensitive it can normally read the profile and also. this is the 2010 catalog price not yet listed. It also has a preface and the No. 10 is not on the cover. Sammlerin Ute berichtet von mindestens 15 verschiedenen Varianten des 1. Bandes . Prinzipiell sind alle bibliographischen Daten im Comic- und Romankatalog, sofern es Propagandaliteratur betrifft falsch oder zumindest lückenhaft. Ute collector reported by at least 15 different variants of the 1 Band. In principle, all references in the comic novel and catalog, as it relates to false propaganda literature, or at least incomplete. Die Versenkung des Flugzeugträgers "Ark Royal"
The sinking of the aircraft carrier "Ark Royal"
Man kann die Bände nicht immer mit der letzten Seite unterscheiden. Weiterführende Informationen findet man in "Deutsche Comicforschung", Ausgabe 2006, in dem alles Bekannte zu den Kriegsbilderbögen gesagt wird. One can not always distinguish the volumes with the last page. 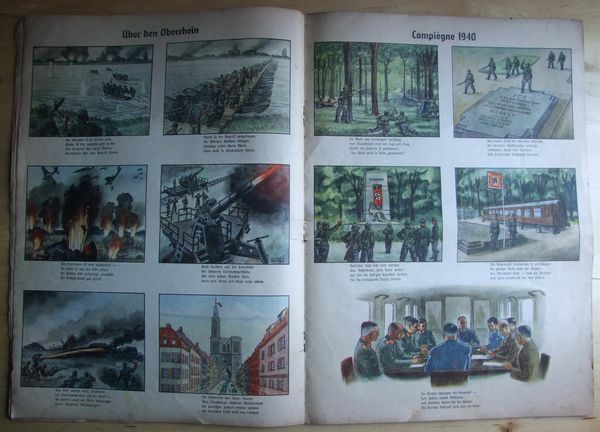 Further information can be found in "Deutsche Comicforschung", 2006 edition, in which all friends are told about the war pictures arches.